Home > Comet Clutches and Parts > Comet 202312A Centrifugal Clutch. Heavy Duty Self Contained Single Pulley. > Comet 202313A. Comet Industries 350 Series Drive Clutch. 7/8" Bore. Comet 202313A. Comet Industries 350 Series Drive Clutch. 7/8" Bore. Comet/American Sportworks-ASW/MANCO Part 202313-A. Replaces ASW/MANCO-Comet 202313/A. OEM: NP35AB-87 CLUTCH S350. 202313-A, Comet Industries 350 Series Centrifugal Clutch for Model T replica car, Shriner car drive clutch. Comet 350 Series Drive Clutch SCSP: 7/8" Bore, 3" OD centrifugal pulley clutch with 5/32" keyway. For MANCO/Comet Go Karts, Model T Replica Cars, Shriner Cars and go karts. 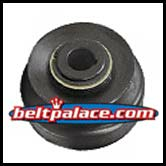 Use ONLY with Manco/Comet Industries Symmetric 1/2” Wide (A Section) or 21/32” Wide (B Section) Wide torque converter belts. Comet 202312A Centrifugal Clutch for V Belt. 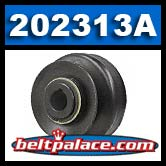 Heavy Duty Self Contained Single Pulley 202312. 1" Bore, 1/4" Keyway.